Over the years, we have developed and refined a formula for building elite next generation medical professionals. Our leadership continues to exceed the expectations of our clients, every day, and we take great pride in having a culture of successful and committed physician leaders. Leadership in the emergency department is what makes or breaks it. So, how do we Get Better! leadership? COLLABORATION AND UNDERSTANDING OF METRICS, QUALITY, AND MANAGEMENT GOALS. NES leadership will work together with you and your hospital teams to address quality and improvement trends identified through our dashboard tool. Highlighted areas of improvement are continuously monitored and updated in reporting and shared in a monthly basis. Our dashboard tools provide a high level of intelligence and direct insight on your operational, financial and clinical status within your hospital to help pin point immediate concern correctional strategies. COMMUNICATION FOCUSED ON PERFORMANCE IMPROVEMENTS AND SOLUTIONS. Site Medical Director leadership continously engage with staff through monthly meetings to keep a pulse on identified deficiences and enhance communication and teamwork to better implement performance solutions. 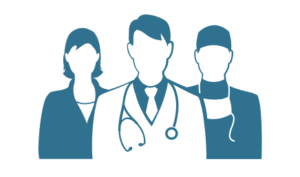 National and Regional Medical Directors help drive and sustain performance and improvement results through ongoing video-calls and regular in-person visits to better connect, support and mentor Site Medical Directors. STRENGTHEN LEADERSHIP WITH BEST PRACTICES TO ACHIEVE SUSTAINABLE HIGH PERFORMANCE. Medical Director leadership attend annual NES Medical Directors Academy focusing on factors that impact leadership in the landscape of emergency and hospital medicine. NES Medical Directors Academy educates and enhances dirctor’s skillsin the areas of personnel, patient flow, finance, use of metrics, ED management, hospital administration, medical staff needs, communicaiton and patient satisfaction.